Its first week of December and we have a little snowfall here in MissourI after it was almost 70 degrees yesterday. Just crazy weather here in the midwest. So glad I took the day off from work tomorrow as I spent an extra 30 minutes in traffic this morning and all we had gotten at that time was some stray flakes and a few rain drops. 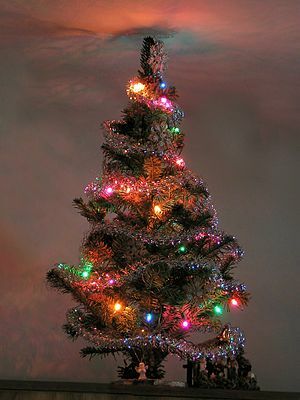 Tomorrow I will put up the 450 string of lights to accent my 2-D Christmas Tree made up of just lights on my kitchen wall – designed to be less maintenance, save space and yet still somewhat festive. Not much Christmas cheer this year but trying to do a little something so as not to be a total humbug.